Coco is a new concept that is homely, functional and fun all at the same time. These bungalow tents are practically and modernly furnished and can host up to four persons. 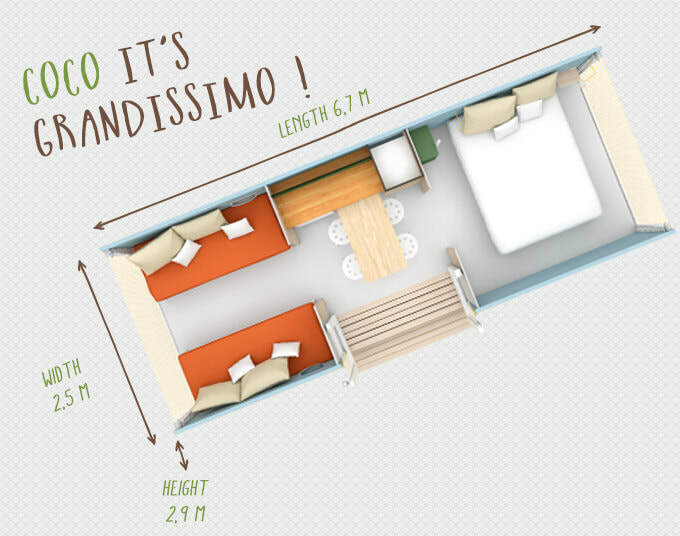 Located directly on the beautiful Lake Iseo, our guests are guaranteed to have an affordable stay in our camping.